No Disclosure, Sold As-Is. Seller Motivated. 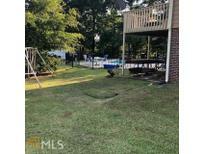 MLS#8423482. American Realty Pro Of Ga. Forget The Yard Work With Full Lawn Maintenance Included. Same Plan As Lot 58 MLS#8422938. Re/Max Around Atlanta. Brentwood - 2 Car, Auto Garage Door, Garage, Attached, Side/Rear Entrance, Off Street.. Great Buy Great Location. MLS#8409653. Citizens International Realty. Showings Will Start Weekend Of 3/30/2019. 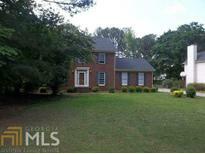 MLS#8401463. Solid Source Realty Ga. Agents Always Protected When Coop With Dailey & Associates, So Call Me And I Can Show Your Clients If You Cannot. MLS#8402041. Dailey & Assoc Cert Brokers. Convenient To I-20. Contact Agent For Viewing. MLS#8391217. Lee Staples Realty, Inc.. Newly Renovated 4 Bedroom 2.5 Bath For Sale All You Have To Do Is Move Hurry Won’T Last Long MLS#8378953. Loral Realty Llc. 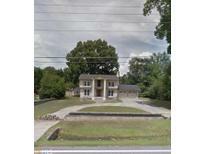 Convenient Location With Short Commute To Atlanta. MLS#8358220. Annie Miller Realty, Inc.. The Only Home Left In The Subdivision!!! ! 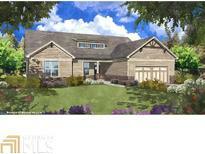 MLS#8349779. Tamg Realty Inc. Completion Date Is May 2019. *These Condominiums Are Detached Homes* MLS#8328049. Wade Jurney Homes. 4 Bedrooms/3 Baths, Lots Of Space, Open Land, Woodlands, Timberland, Agland, 263.76 Acres, Must See To Appreiate! Call Agent For Appointment. MLS#8121757. Carter'S Galaxy Of Homes. ***Hsa Home Warranty Provided Compliments Of The Seller*** MLS#8053374. Parkside Brokers. Must Be Sold In Conjunction With 3211 Highway 212..Mls # 8303360. MLS#2374556. Carter'S Galaxy Of Homes. Purchase For As Little As 3% Down. MLS#3129229. Myers Team Realty.